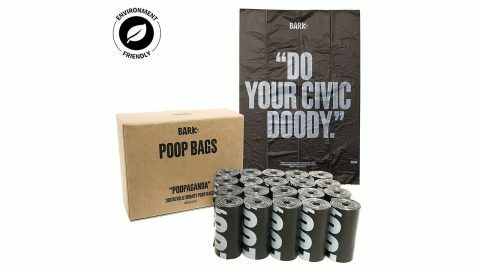 Save an extra 40% on BarkBox Dog Waste Poop Bags, 3 Patterns/Roll, Environment Friendly, Leak-Proof, Durable, Unscented, with this coupon code. This coupon code valid through April 16, 2019 or while supplies last on Amazon. Discount applies at checkout. 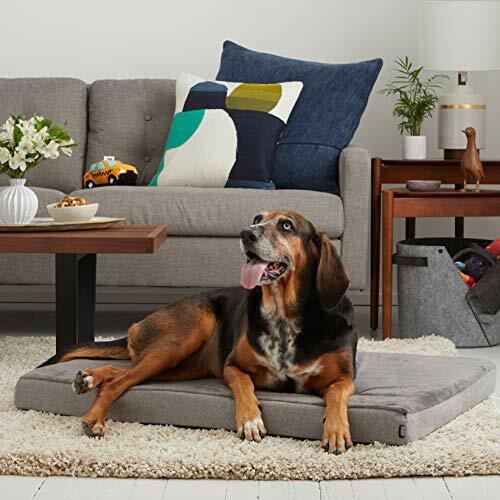 Save an extra 40% on BarkBox Small/Medium/Large/X-Large Solid Orthopedic Memory Foam Luxury Dog Bed – Removable Washable Cover, Free Surprise! with this coupon code. This coupon code valid through March 31, 2019 or while supplies last on Amazon. Discount applies at checkout. The rest and relaxation your dog deserves. Give your dog the best sleep of its life with the BARK memory-foam bed. Our orthopedic mattress supports your dog’s joints and pressure points, making it perfect for dogs with arthritis, ones recovering from surgery, or any dog, really. It’s easy to step into, accommodates any sleeping position and features a machine washable mattress cover for easy clean-up. What’s not to love! 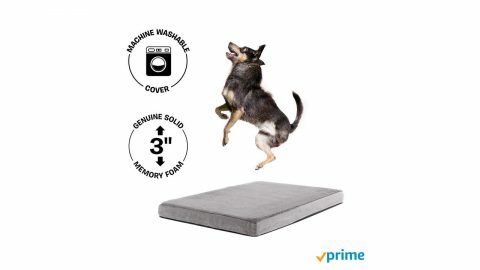 QUALITY COMFORT: A high quality combination of memory foam and gel helps to relieve body aches, joint pain, hip dysplasia and arthritis, and gives optimal support for your dog's best night's sleep - ever. Luxe plush exterior is invitingly cozy and oh so soft. DURABLE & WELL-DESIGNED: Plush fabric is made to hide dirt, hair, and fur. Structured fabric sides offer a contrasting aesthetic element and enhanced minimalist design to be a welcome addition to your home's decor! PRODUCT DETAILS: The BarkBox Thick Orthopedic Dog Bed offers four different color options: Espresso, Grey, Navy, and Sand. It's also available in the following sizes: Small, Medium, Large, and XL. Find the right combo for your pet! Arrives vacuum-packed to expand upon opening, just make sure to unzip the zipper to allow outside air in for maximum inflation. Don't forget to look for the BONUS SURPRISE! EASY CLEAN-UP: The top layer of the fleece is waterproof and the cover is machine-washable to easily combat accidents and keep your pup's bed looking (and smelling) fresh and clean. SCOUT'S HONOR: WE CARE ABOUT YOUR PUP: If you and your fur babies would like to check in on their progress or you aren't happy with our product, please contact us--we're happy to offer a money-back guarantee on the product. Your dog's welfare is our priority. Please feel free to reach out to us at 844-231-2275! 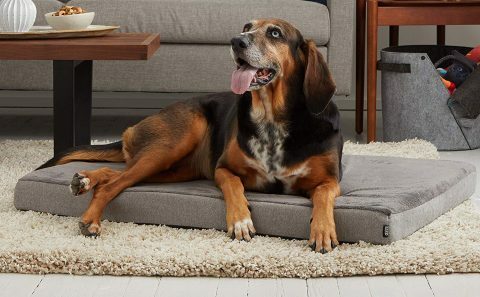 Save an extra 25% on BarkBox Orthopedic Plush Memory Foam Dog Bed or Crate Mat Small-XL, 4 Colors | Removable Washable Cover, Squeaker Toy as Gift with this coupon code. This coupon code valid through May 9, 2019 or while supplies last on Amazon. Discount applies at checkout. COMFIEST SLEEP: 26" x 36" x 3". 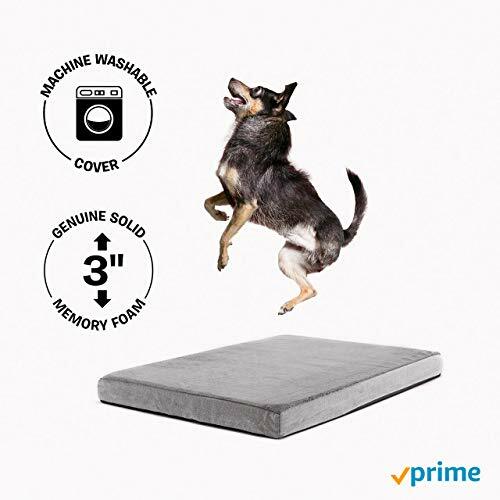 A high quality combination of ergonomic memory foam and gel foam helps to relieve body aches, joint pain, hip dysplasia and arthritis, and gives optimal therapeutic support for your dog's best night's sleep - ever. Luxe plush exterior is invitingly cozy, oh so soft, and gentle on noses and paws. Step-on design is easy for older senior dogs or dogs with health issues. The perfect mattress for dogs that love stretching out and relaxing or napping. DURABLE & WELL-DESIGNED: Designed in our studio in New York, we combine Scandinavian minimalism with the best quality materials to make a dog bed your pup will love. The plush fabric hides dirt, hair, and fur. Structured fabric sides offer a contrasting aesthetic element and make for a more versatile addition to your home's decor! Made with waterproof fleece and a machine-washable cover to combat accidents. Works well as a replacement lounger, crate mat or pad. PRODUCT DETAILS: The BarkBox Thick Orthopedic Dog Bed offers four different color options: Espresso, Gray, Blue, and Sand. It's also available in the following sizes: Small (16" x 24" x 3"), Medium (22" x 32" x 3"), Large (26" x 36" x 3"), and XL (42" x 31" x 4"). Find the right combo for your pet! 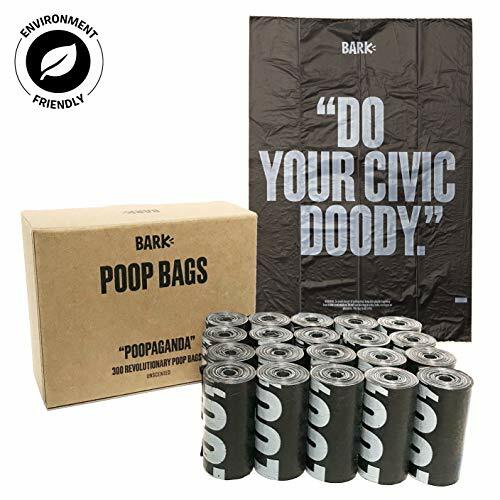 Arrives vacuum-packed to expand upon opening, just make sure to unzip the zipper to allow outside air in (up to 72 hours) for maximum inflation. Don't forget to look for the BONUS SURPRISE! SCOUT'S HONOR 1-YEAR WARRANTY: We offer a free 1-year warranty to customers who purchased this bed from "BarkBox" only on Amazon. If you aren't happy with our product, please contact us--we're happy to offer a satisfaction guarantee on the product. Your dog's welfare and coziness are our priority. Please feel free to reach out to us at 844-231-2275!